Nearly one month before the downbeat of its 2017-2018 season, the accolades are already rolling in for the Gustavus Wind Orchestra. 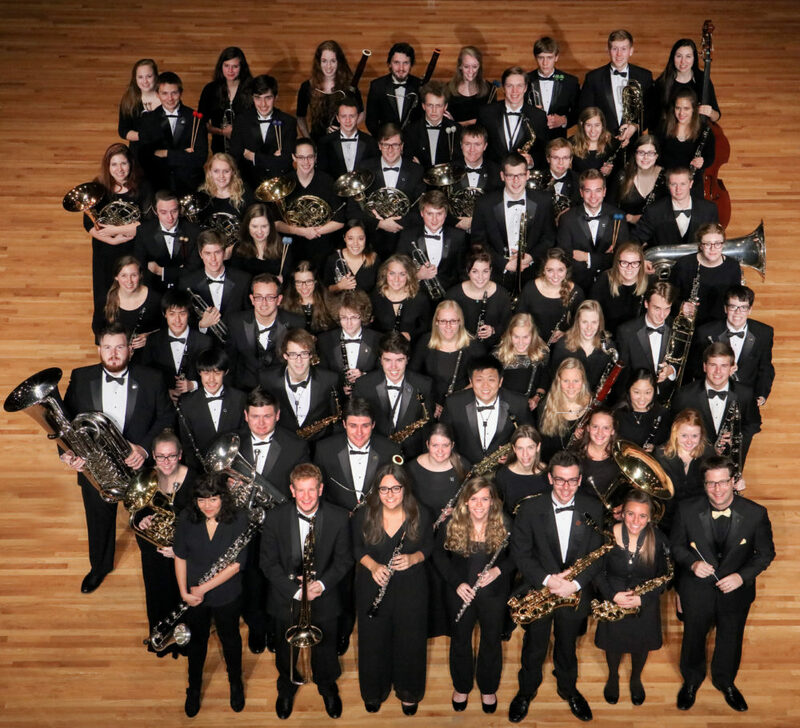 This week, the Minnesota Music Educators Association announced the ensemble had been selected to perform at this year’s statewide conference in February 2018. The Gustavus Wind Orchestra is one of three collegiate-level wind bands this year to be awarded the opportunity to perform. The concert, held at 7:30 p.m. on February 22 at Minneapolis Convention Center’s Main Ballroom, is free and open to the public. The Gustavus Wind Orchestra will be joined by the University of Wisconsin-Eau Claire on the program. The Douglas Nimmo Professor of the Gustavus Wind Orchestra, James Patrick Miller, says this is not only an opportunity for the College to share the mission of music at Gustavus with the state’s music educators, but also an important musical experience for his students. “There are going to be a thousand people at this concert. Performances like this are always life-changing artistic experiences and when you have an experience like that, it stays with you,” he says. This is an exciting season for the Gustavus Wind Orchestra, which is celebrating its 140th anniversary with a performance tour of Sweden and Norway in January, along with a large on-campus reunion in May.